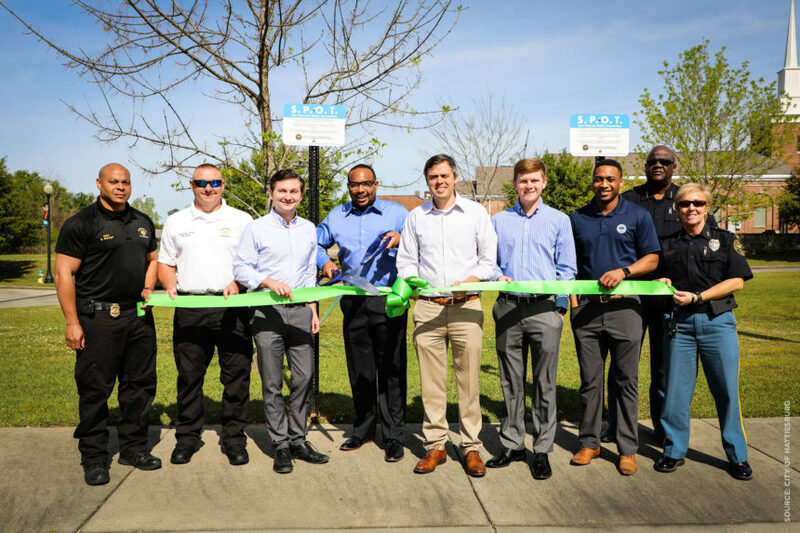 Hattiesburg, Mississippi – Brought to the table by Ward 5 Councilman Nicholas Brown, the “Safe Places for Online Transaction” (S.P.O.T.) 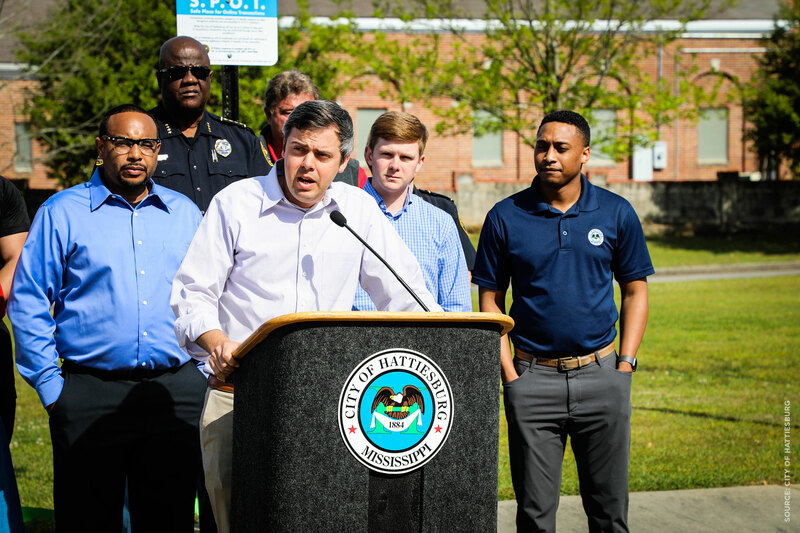 initiative gives Hattiesburg residents three locations across the city where they can safely exchange items purchased through online marketplaces like Craigslist, Facebook and eBay – among others. 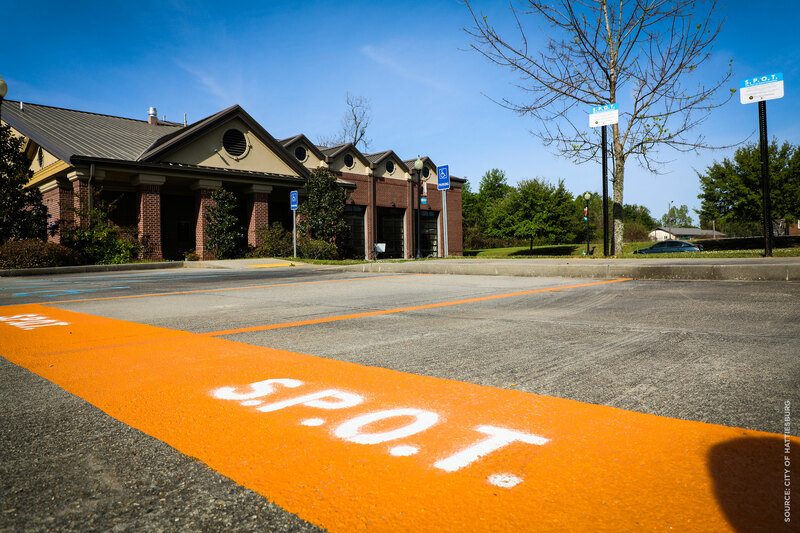 Each location includes two clearly marked parking spots for resident use and camera surveillance. Transactions involving narcotics, dangerous or deadly weapons or other dangerous materials are not permitted at S.P.O.T. locations. And, while the city will not take part in transactions, they may be monitored through the use of video surveillance. Total cost for the project at three locations was $4,500, which included the surveillance systems. Paint and signage were completed in house. For an interactive map and more about the locations, residents can visit hattiesburgms.com/spot. Mayor Barker makes remarks at ribbon cutting for S.P.O.T. launch. 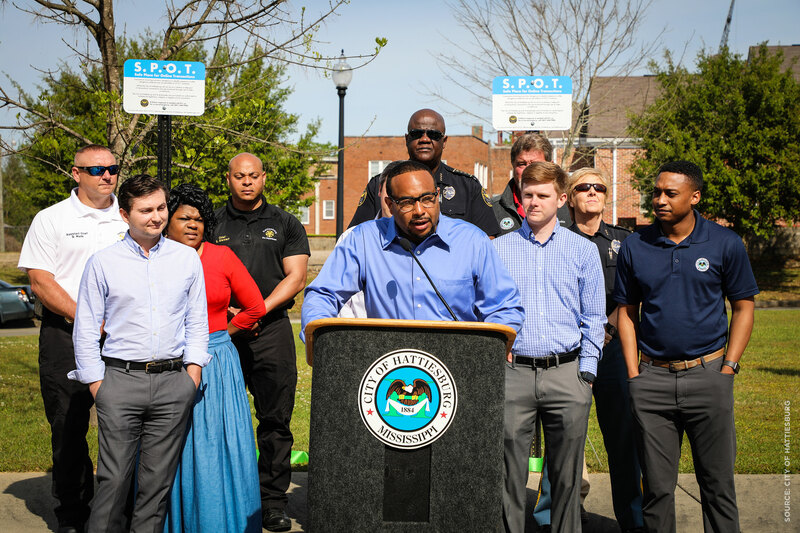 Councilman Brown makes remarks at ribbon cutting for S.P.O.T. launch.